Looking for the best Magento developers for your project? 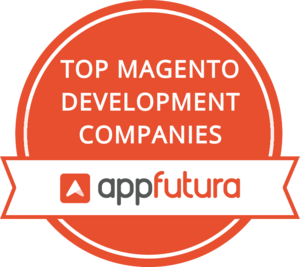 AppFutura helps you exploring the top Magento development companies so that you can browse and meet the best Magento developers to work on your new projects. You’ll also find reviews of leading Magento development companies ordered accordingly in our ranking. "They are excellent and master in their field and at communication/development, they are great in each field." For all our clients whom we develop apps for, we help develop a powerful web backend as well as a clean frontend to showcase their app. Also we expertise in Web Portal development. I can bet you we are damn best in this platform so stop caring about your web dvelopment, E-commerce, woocommerce, wordpress , opencart work just assume its been in safe hands once you get in touch with us. To prepare for the challenges of the next generation, enterprises are widely adopting enterprise mobility solutions. Ranosys has the expertise to deliver the best native, HTML5 and hybrid mobile apps on all platforms. Born as an open-source e-commerce platform, Magento is written using PHP language. The first version was launched back on March 31, 2008. Since then, the technology behind Magento has kept the same but not their owners. From co-founder Roy Rubin to eBay and later a second company, Permira. Ten years later after the first release, in 2018, Adobe acquired Magento for $1.68bn. Top Magento Development Companies implement this software when looking to get better user engagement but also smoother navigation when developing an e-commerce website. Magento, apart of being written in PHP language also uses other technologies like MySQL or the relational database management service, MariaDB. Top Magento Development Companies include some elements of the Zend Framework to deliver their projects. These eCommerce Platforms, currently owned by Adobe, handle over $100 billion yearly on gross merchandise volume. But the beginning of this development tool was thanks to two bored developers working for Rubin at his Varien company. Tired of what they were doing, Roy Rubin handled a side-project to them. Two months later, they went all for it and now it has become a multimillion dollar company. AppFutura has listed the Top Magento Development Companies in this worldwide directory. After years of experience, these developers have gained enough knowledge to deliver top-notch Magento projects, so if you are looking for any Top Magento Development Companies for your project, get in touch with our team and we will be happy to assist and recommend the best Top Magento Development Company for your idea.